Our certified coaches enable change and growth in leaders through a structured methodology. 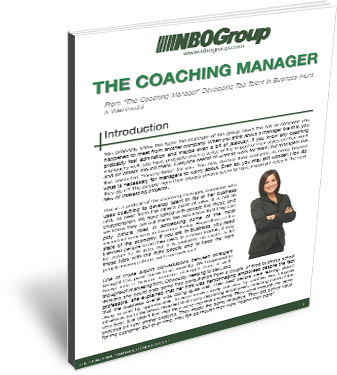 Executive Coaching is a one-to-one series of interactions between a qualified coach and an Executive. The objective is to enhance the job performance of the Executive. The organization and the Executive must see the need and the ROI to both for a successful engagement. The Executive must be open to discussions, feedback and making a positive change. If not, Coaching may not be the solution. Almost all Executives have behaviors or issues that can cause problems for that individual, their peers, subordinates, clients or the boss. These behaviors, or issues, can hold an Executive back from being more effective in the organization. The NBOGroup Executive Coach works on one behavior or issue at a time to enable positive change. Too many goals can derail the process. 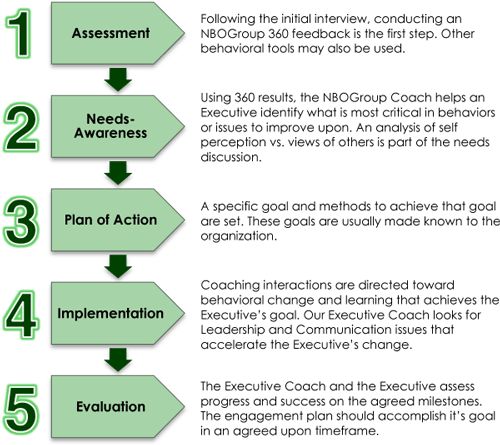 Each NBOGroup Executive Coach enables change and growth through a structured methodology which benefits the individual and the organization. That growth and change needs to be measurable. From the book, “The Coaching Manager: Developing Top Talent in Business”, Hunt and Weintraub describe the ideal coaching relationship a manager should cultivate in the workplace.